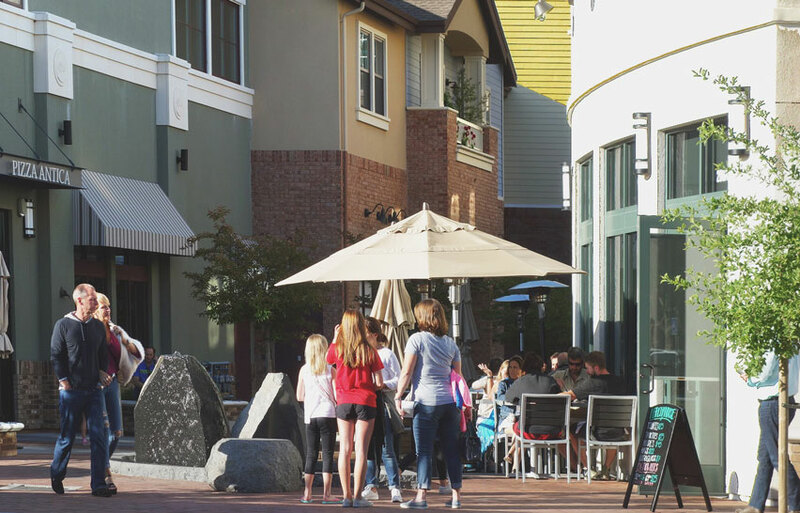 Whether shopping, dining, strolling or playing our commercial and retail centers provide destinations to dwell in a comfortable and vibrant outdoor setting. 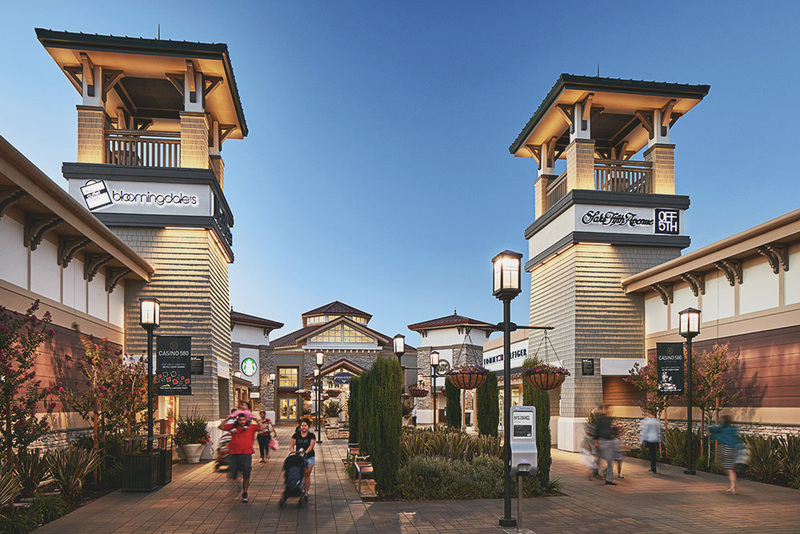 Premium Outlets is Livermore’s new hub showcasing 450,000 s.f. of shops and restaurants, as well as a central plaza with an outdoor cafe. It features a series of courtyards with fountains, enriched paving, lush planting, and thematic furnishings. 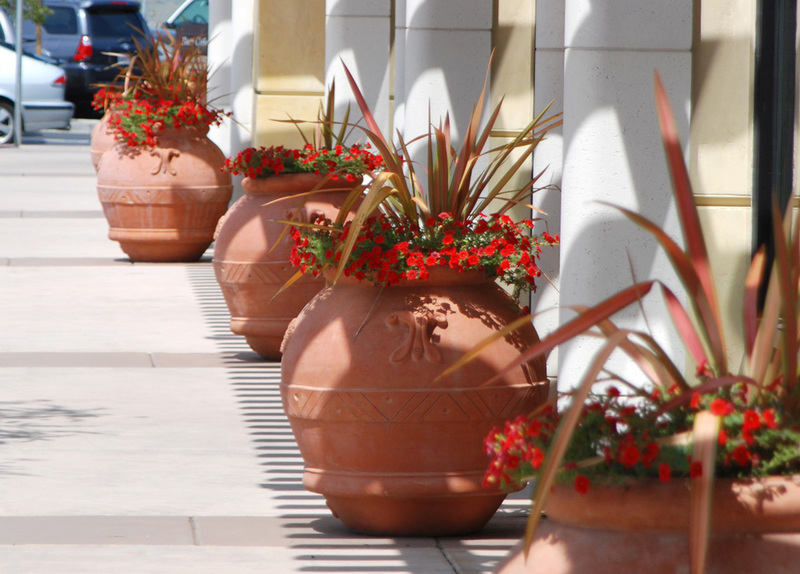 The character of the outdoor spaces is based upon the agrarian wine country. 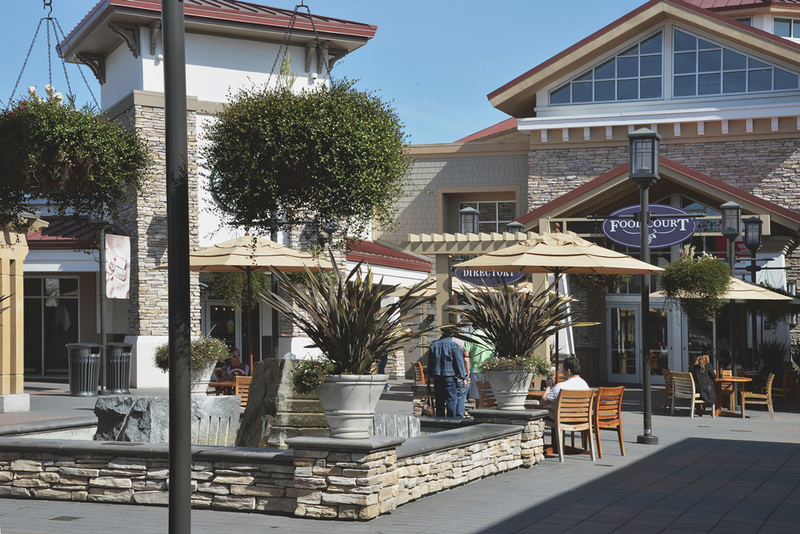 Located along I-580, it is a gateway for the Livermore community. 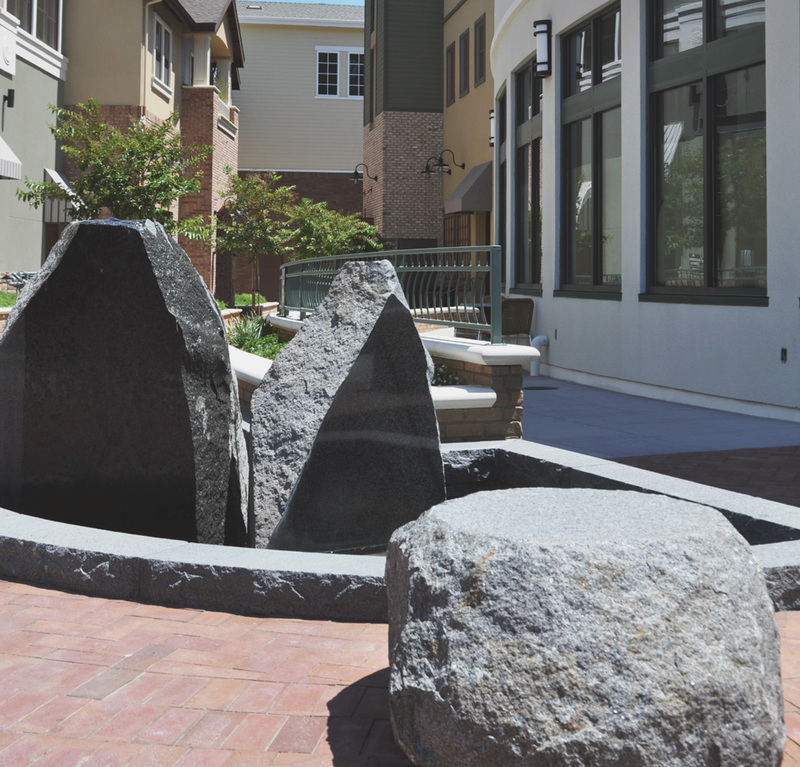 One of the outdoor rooms within the retail center is a popular prehistoric-themed playground. 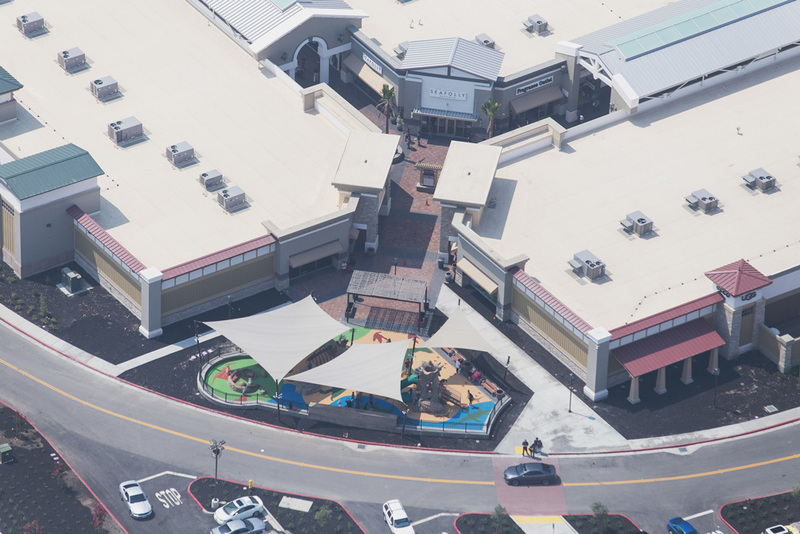 The play space offers families a retreat between shopping and dining. The play experiences stimulate the storybook imagination of children, while the tactile surfaces educate in a fun setting. Abundant seating is available for parents in the form of low seatwalls and sheltered benches. A Mediterranean garden setting was established with a central olive fountain courtyard, terra cotta pots and intricate paving. The design incorporates sustainable elements including bioswales to filter runoff, storm drains to recycle water, and a solar panel array that assists in meeting common area energy needs. 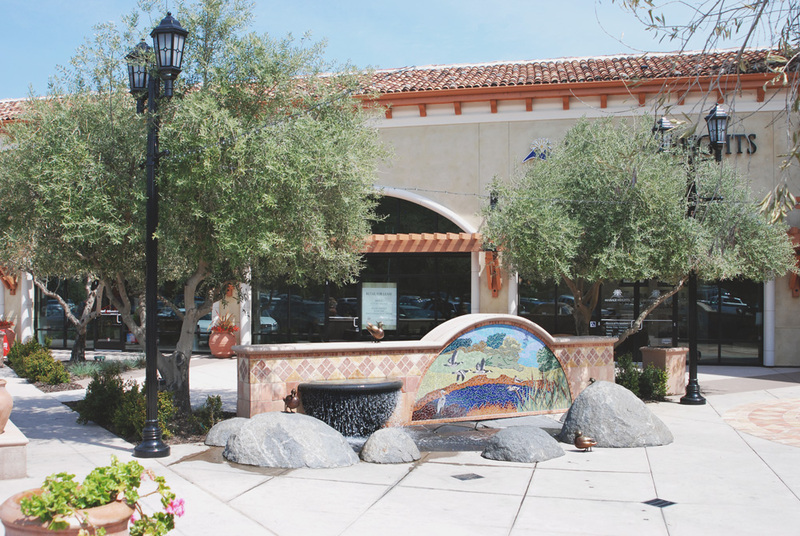 The landscape adheres to the Bay Friendly guidelines for low water usage. The Marketplace is part of the Hamilton Master Plan that Gates + Associates created. The revitalization plan calls for the retention and restoration of the historic Danville Hotel and McCauley House on Hartz Avenue. The rest of the 1.12 acre site was developed with retail, restaurant, office and common spaces. The upper level houses 16 residential units. Gates + Associates designed the streetscape, as well as internal paseos and the second floor courtyard to complement the variety of uses. 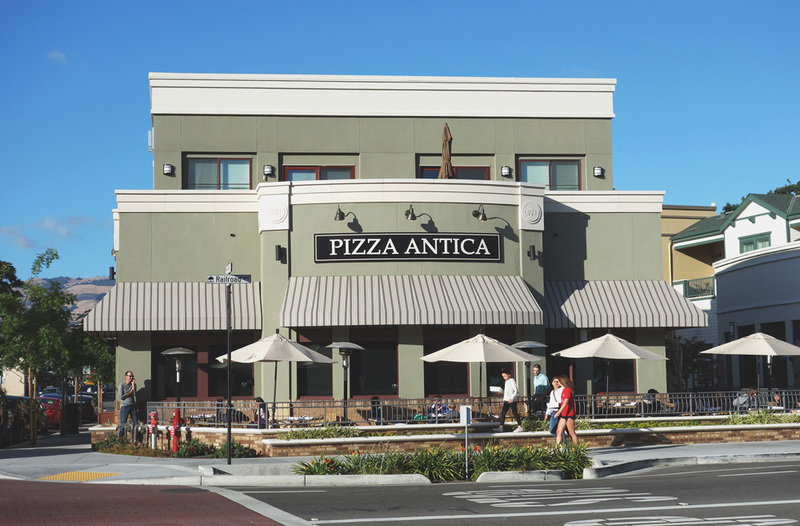 Restaurant dining patios create liveliness at the prominent intersection of Railroad and Prospect Avenues. 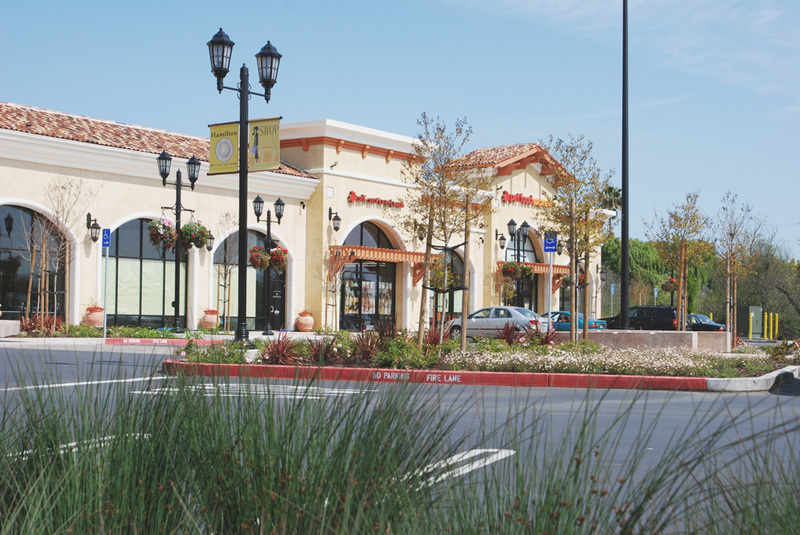 Biofiltration planting areas punctuate the mixed-use development.